This is the chart is like to produce this time. It is a 15 min chart of Bharti Airtel. H-R1-R2-L-H-R1-R2-L for the past 1 Year. And following the same trend this time. will be followed by new low L.
to short bharti at cmp with stop loss at 785 is opinion for a target of 700-680. 750 for a target of 700. 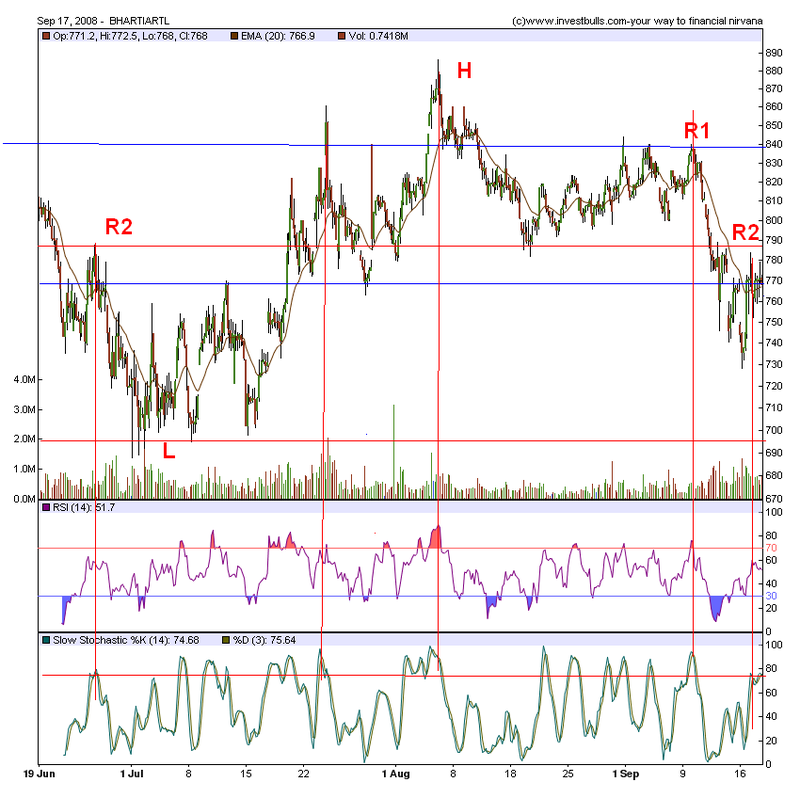 3) Falling RSI – Bearish and Rising Stocastics (Bearish).